When it came to refreshing the working environment, DBS envisioned something outside the normal for the banking world. They imagined an open space office to facilitate collaboration, much like those found in the high tech industry. However, knowing what you want and being able to convey it to your team are two different things. DBS enlisted the help of Vostok VR to communicate their concept in an entirely new way: through virtual reality (VR). The 360 degree cinematic film company produced a virtual tour for DBS HR and Corporate Property Development departments. 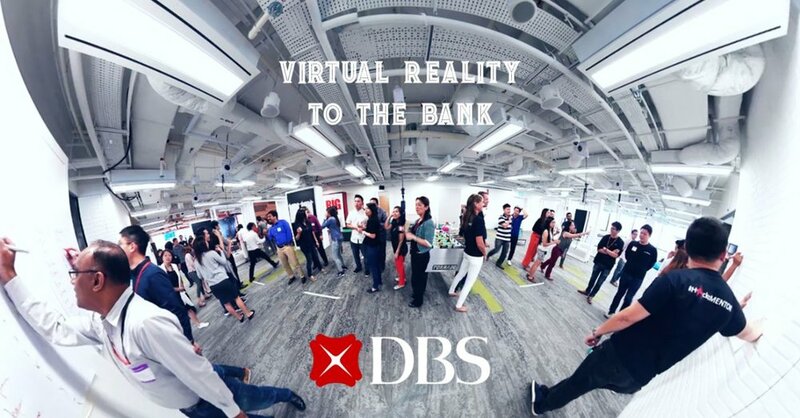 DBS is the first bank in Singapore to use VR to present facilities to their employees and integrate it with their company for enrollment. Over 5000 employees now use VR as part of their enrollment annually. DBS branches across Asia, including Indonesia, Hong Kong and India, are in discussions to include the technology in their departments.